You may remember my last Pinterest post - Pinterest Faves from earlier in June, well I'm back again with another blog post dedicated to my love for Pinterest! 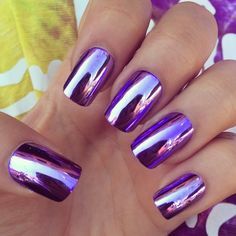 This time I'm going to be sharing one of my fave boards on there my nails inspiration. As you may know if you've been following my blog, I adore nail varnish and nail art. I paint my nails at least twice a week and I have an entire handbag (overflowing handbag...) full of various nail varnishes! From bright reds to neutrals I just can't help myself when it comes to a good mani. I'm a huge fan of a accent ring finger, it's something I do all the time! I love using glitter for my accent and thanks to OPI's glitter off, there's none of the soaking your fingers in nail varnish remover and feeling like hacking your own finger off would be an easier way to remove it. 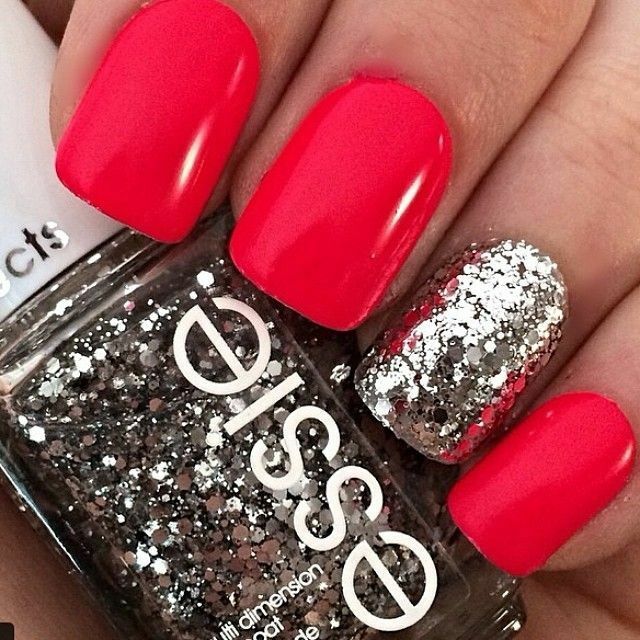 Follow Rebecca's board Nail inspiration on Pinterest. I love bright nails during summer and anything with glitter on will always be a winner with me. I'm totally loving the whole chrome trend at the moment, although after buying, near enough, the entire collection of Models Own Chrome range. I still haven't found the perfect chrome for me. I do think there has to be a wrap or something out there but I've never had much luck with wrap application. If you do have any tips, PLEASE let me know! I've had an obsession with nail varnish for as long as I can remember. It's always been a big part of my life and I always have painted nails. If I chip one I will take off the entire lot and start again. I really do think you get what you pay for with nail varnishes and a decent top coat can save a lot of heartbreak! There's nothing worse than chipping a fresh mani is there! 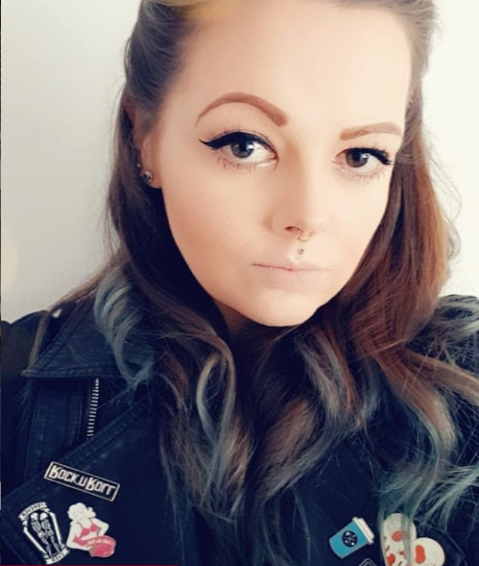 What are your favourite looks? I started blogging with a Nail Art Blog, I used to be SOOO Obsessed with it. 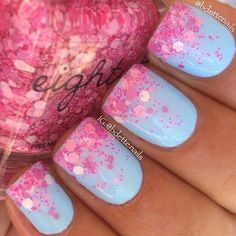 I still love looking at nail art on Pinterest, there are so many talented people out there, I just wish I was half as good as them at the nail art! Love the idea of an accent ring finger. I've never heard of it before so I'm off to search Pinterest for inspiration.